DunesWalk Inn has partnered with some of the finest establishments in the area for special incentives to make your stay in Dunes Country even more enjoyable. Whether you are planning a family vacation, a romantic weekend, a girls’ get-away or guys’ night out, our packages are available for every occasion. Advanced reservations required, and some restrictions may apply. One package per reservation excluding Snack Pack. Call us directly at 219-728-6393 for package reservations. Stock your kitchenette with savories and sweets from The Magic Pantry at the Schoolhouse Shop. The gourmet goodies will be waiting for you upon your arrival. Three different “levels” are available depending on your snack attack, including chips, chocolate, crackers, cheese, and other epicurean delights! Don’t forget the refrigerator… your Snack Pack may continue inside. Prices range from $15 to $50. East Coast, West Coast, Third Coast! Eat well, feel great at the Third Coast Spice Café with our special “Bed and Breakfast or Lunch” Package. Receive two complimentary entrees up to a $25 value at your choice of breakfast or lunch. Wake up early or wake up late and enjoy local ingredients less than 10 minutes door to door. Offer redeemable once and only during time of stay. May be applied to breakfast or lunch. Discover the great food, hospitality and fun offered by our “Dining in the Dunes” partners. • New Restaurant Partner to come! From a walk in the Dunes to a walk in a village-like setting only 8 miles away, enjoy a day of shopping at the Lighthouse Place Premium Outlets where you will discover 120 outlets from leading designers and brand names, offering savings of 25% to 65% every day. Magnificent Michigan City Shopping includes a VIP Coupon Book with hundreds of dollars in savings at your favorite outlet stores and a $25 gift card, redeemable to all stores at Lighthouse Place Premium Outlets. Only one coupon book and gift card per reservation. From the beauty of the Indiana Dunes National Lakeshore to the luxurious comfort of your accommodations at DunesWalk Inn, Retreat, Relax, Renew and surround yourself with serenity. “Slip away from your day” at Serenity Salon & Spa of Chesterton with a 20% discount on the single service of your choice. Pamper yourself with the calm and quietude of the Dunes. 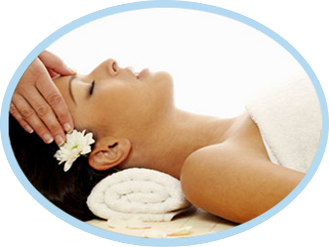 Choose from an array of body and facial treatments, hair and nail care, and massage therapy. Services must be reserved in advance and based on availability. Discover the personality and charms of this popular, local icon just steps away from DunesWalk Inn. Built in 1886 as a two-room schoolhouse, the Schoolhouse Shop and Antiques is as much a part of the history of Furnessville as the Furness Mansion. 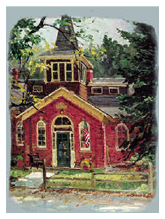 Filled with treats and treasures, Schoolhouse Shop offers unique and beautiful gifts, artwork, pottery, and more. Begin your magical trail of discovery with a complimentary $20 voucher. Offer redeemable only during time of stay.